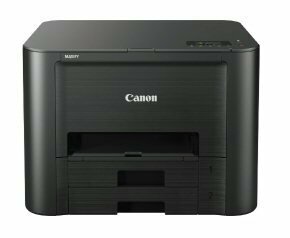 Ebuyer has sent over a Canon Maxify iB4050 Wireless Inkjet Printer for Gareth to have a play with. The printer retails for around £88 on Ebuyer, a price so low that this easily becomes an interesting option for any small business, or ever personal user looking for a quality printer. With the price of ink being a major concern for anyone purchasing a printer, the ink tanks cost roughly £17 each or a pack of 4 for £52, depending on where you look. With an output of 1,500 colour pages this looks to be notably better value than many printers on the market currently. High-speed printer for small office with built-in Wi-Fi and Ethernet, mobile and cloud printing. Features 2-sided printing and high capacity ink tanks for efficient, high quality business documents.